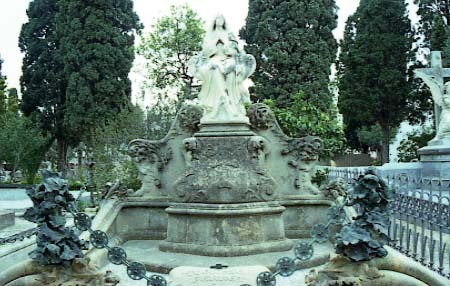 Born in Barcelona in 1850. 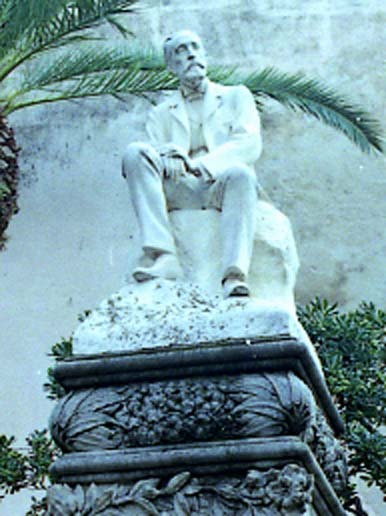 He trained as sculptor in the School of Llotja of Barcelona with the brothers Venanci and Agapit Vallmitjana, in the atelier of Rosend Nobas, in which he met Manuel Fuxà, and later in Paris (1873-76), in the atelier of the sculptor Jean-Baptiste Carpeaux. 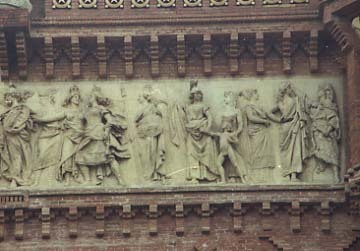 During this stay in Paris in 1873, he again encountered Fuxà, with whom he developed a deep friendship. 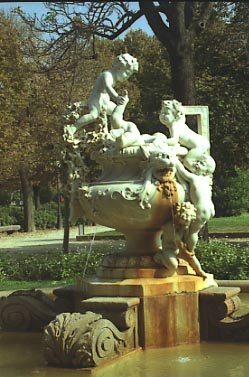 Although Reynés’ career spanned the modernist era, his sculpture is distinctive for its eclectic naturalistic realism and its tendency towards decorativism – a good example of this is the vase with children and flowers in Barcelona’s Ciutadella Park, which dates from early in his career (1882). 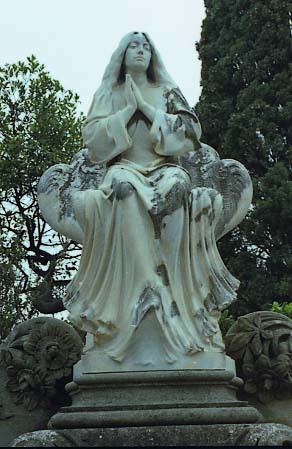 Despite being a youthful work, it is considered to be one of his best sculptural pieces, reflecting his delicate sensibility and revealing some light but characteristic aspects of modernism (Catalan Art Nouveau). 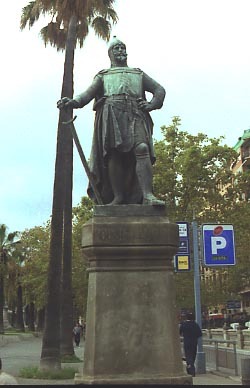 In his later works, such as the female bust that is found in Barcelona’s City Hall, the bust of Cervantes (1885) and the equestrian statue of the queen regent Maria Christina Hapsburg (1891) in the city’s Museum of Modern Art, his style is characterized more by an emphatic and virtuous treatment, reflecting a flavor still deep-rooted in the era and which betrays the influence of his Parisian training. 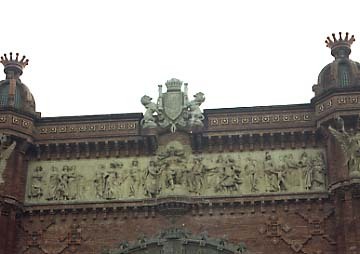 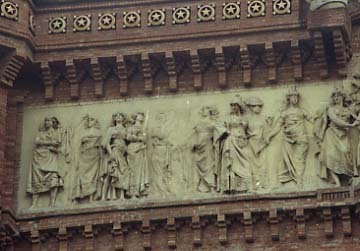 This is also evident in his architectural sculpture in Barcelona, an excellent example of which is the multi-figure relief frieze “Barcelona rep les nacions” (Barcelona Welcomes the Nations), on the front of the Arc de Triomf (1887), which compliments perfectly the more academic frieze at its rear by the young Josep Llimona (Recompense). 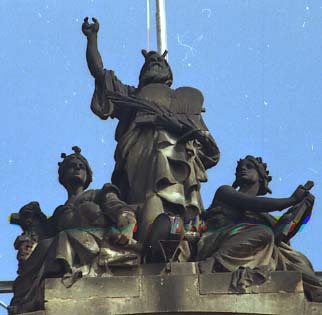 Built as the main gate of the Universal Exhibition of 1888, its sculptures by Reynés and Llimona (as well the subsidiary decorative details by other sculptors) provide the arc with a monumentality that the architecture of the structure itself lacks. 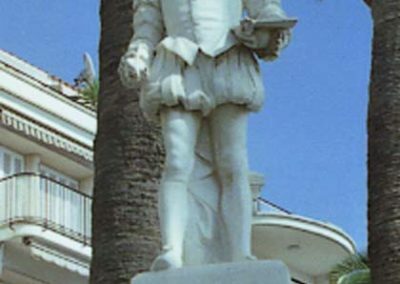 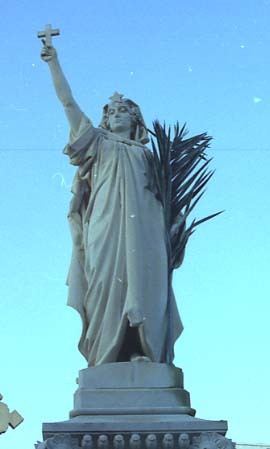 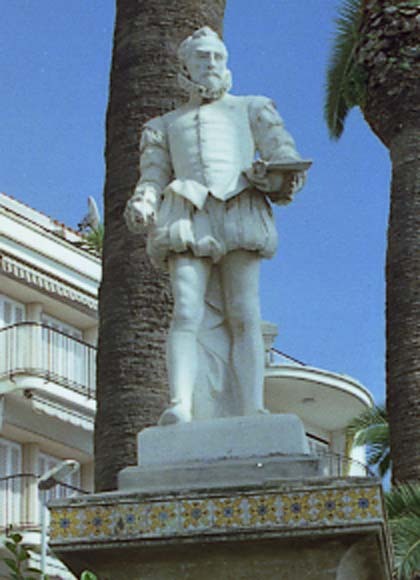 Reynés also produced notable public statues representing illustrious personages, including those dedicated to El Greco and Doctor Robert in Sitges, and Roger de Llúria in Barcelona. 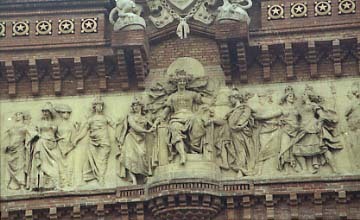 In addition to his work as sculptor, for which he became renowned and received great prestige, he was also dedicated to the decoration of interiors. 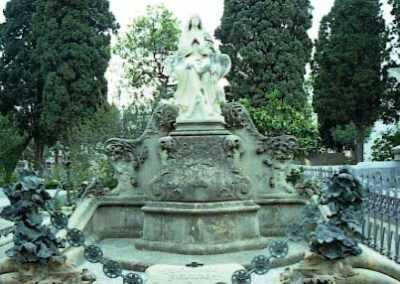 Josep Reynés died in Barcelona in 1926.